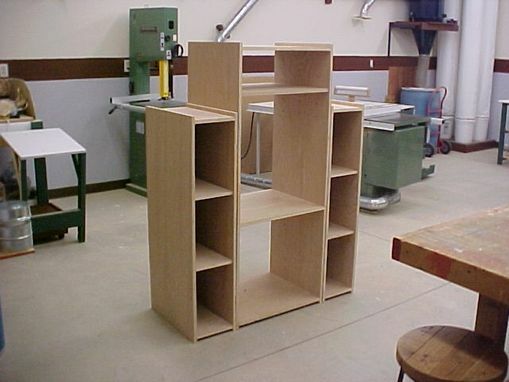 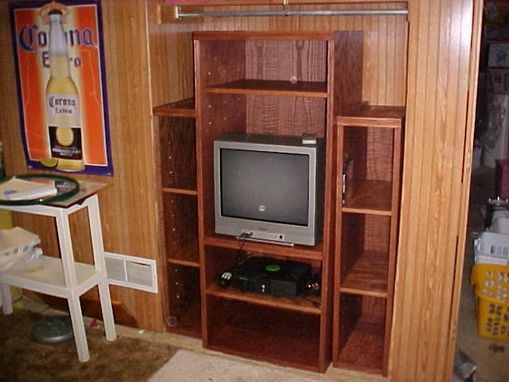 Made for a young college student who like to play video games and watch late-night television, this cabinet is make from oak plywood and oak molding. 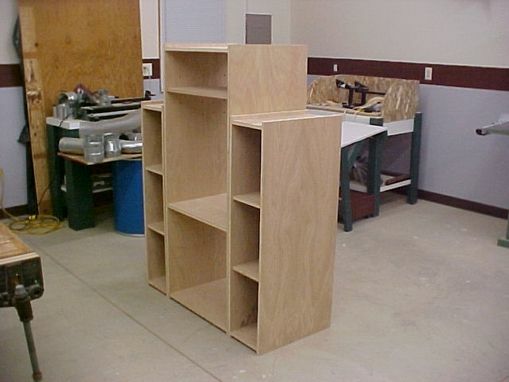 With minor changes to the student's design, the cabinet was constructed to fit into an existing closet, once the bi-fold doors were removed. 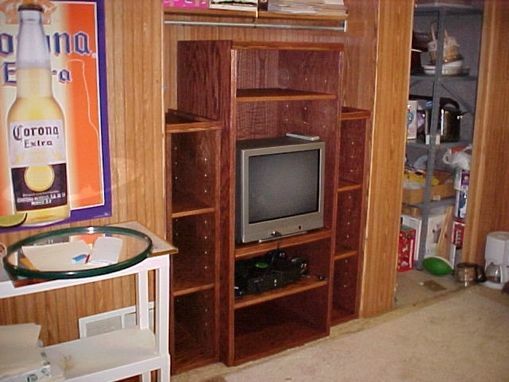 The Entertainment Center was given a mahogany stain and satin polyurethane finish.